So, you have some cash spare that you’d like to invest in a business, but you’re not sure where to start? Investment is a big deal nowadays. Many businesses are looking for funding, from banks and financial institutions as well as private investors, such as angel investors and venture capitalists, who wish to plug some much-needed capital into a business in return for equity. If you’re heading into the realms of investment, you need to know what your objectives are. Do you wish to see monetary growth, or are you hoping to provide an income? Do you have a set limit for your investments? 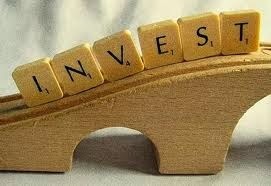 You need to make sure you know exactly what you want to achieve from becoming an investor before you take the plunge. If you have your sights set on long-term investment, then investing in business, rather than ISAs and savings accounts, could be the way to go. The longer you have to invest, the more time you have for your money to recover, should it fall in value. Investment is, by no means, risk-free. You need to understand that your money could fall in value depending on how lucrative the businesses you invest in should become. While you will still own a certain percentage in terms of equity, if the business was to fail, you could lose some, or all, of your investment. Serious investors need to be able to afford to provide the capital without struggling financially themselves. Assess all of your own liabilities before trusting your cash elsewhere. Don’t put all your eggs into one basket, and if you need help or advice, seek help from those in the know. Companies such as CSS partners can help you to source investment opportunities and advise you, while financial advisors will offer unbiased investment advice that you could really benefit from. The current economic climate remains tentative, and saving your money in an account often appears to be a fruitless endeavour. Invest your cash and you can match, or beat, inflation, and as long as you understand the risks involved, and invest wisely, you could be on your way to achieving your long term financial goals.